Tuesday, 30 Apr 2019 at 7:30 PM . Big Bro from the Bros Landreth Makes his Leeds debut with his band after 2018's stunning sold out shows in Sheffield Manchester and York. Success is a mystical pursuit; a blend of timing, talent, good fortune, dedication and hard work. A break in the schedule of award winning roots-rockers The Bros. Landreth offered Joey Landreth a chance to step forward and test the creative waters with his2017 debut solo album Whiskey. It proved to be a very potent recipe. Whiskeywas an extension of the kind of eclectic, aurally pleasing, and deeply meaningful songs produced by the band, but accentuated and amplified by Joey Landreth's dynamic guitar stylings as well as his passionate vocal performances. 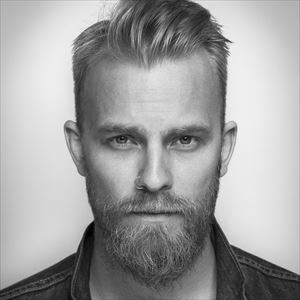 The album and subsequent touring earned rave reviews from critics and fans, showcasing Joey Landreth as a songwriter, vocalist, musician and performer in his own right.